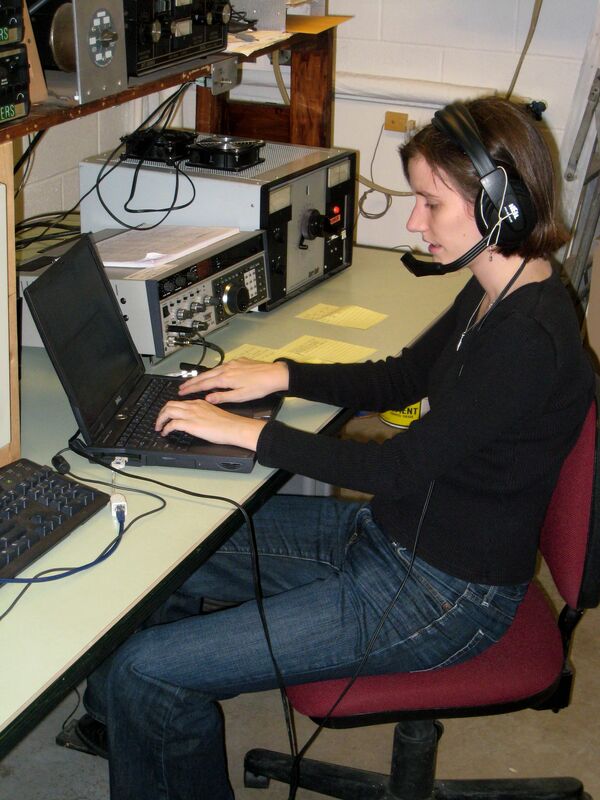 Photo: Ham Radio Contest | Where is Yvette? This entry was posted in America (United States Of), Ohio, Photos, Science!. Bookmark the permalink. So who added that photo to wiki? It was actually an alum who is my personal paparazzi- had my picture in QST, the Ham radio magazine, a few times while contesting. Just like an Air Traffic Controller: a headset and a PTT foot switch – Sweet! Pingback: Maps from Parts Unknown | Where is Yvette?